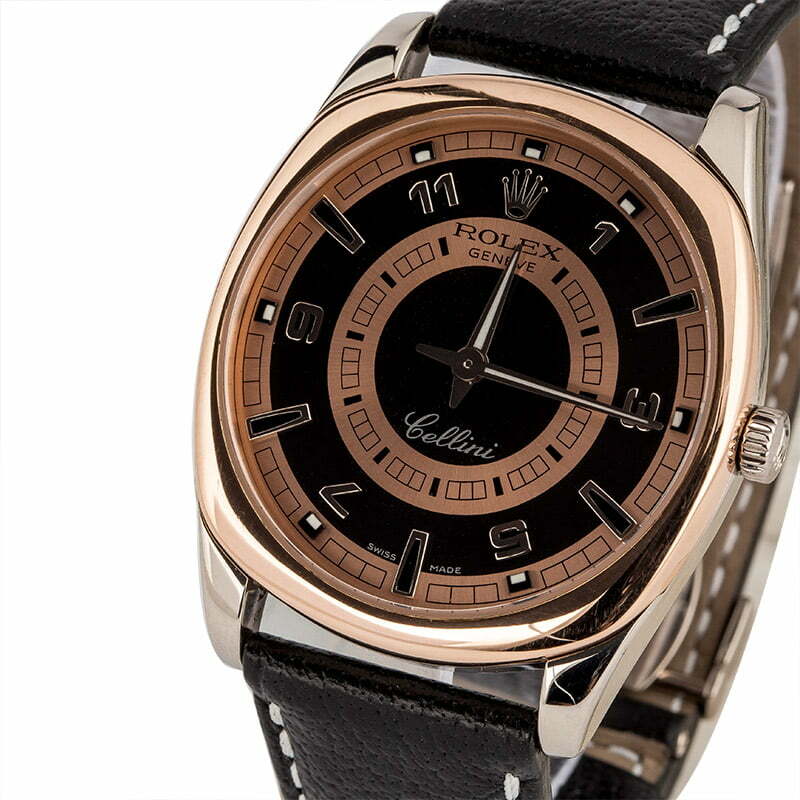 The Rolex Cellini dress watch showcases clean, sophisticated lines, precious metals, and exceptional style. The two-tone ref. 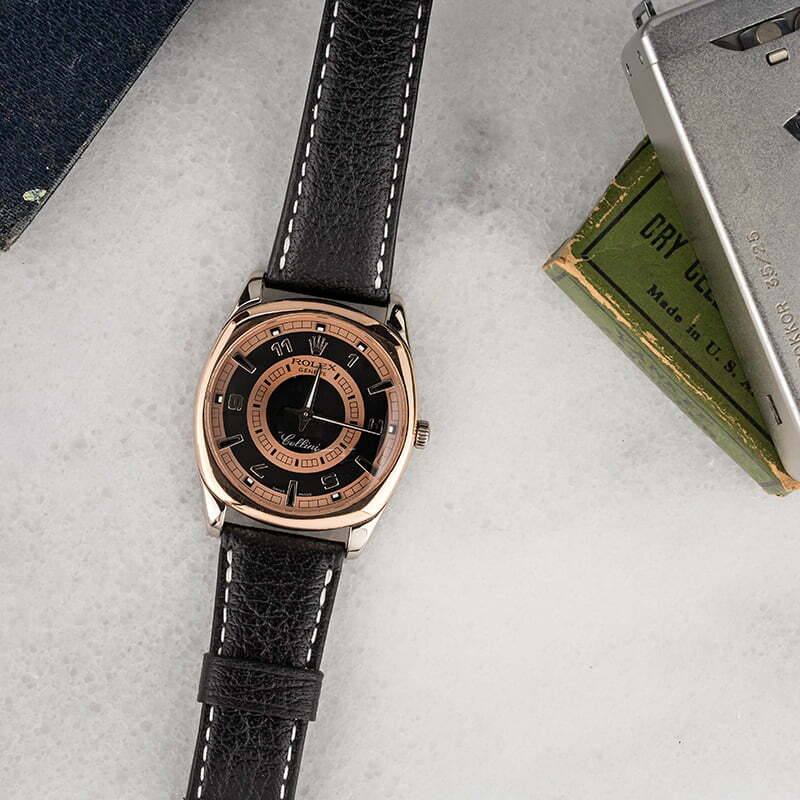 4243 that is presented here today features a handsome 38mm cushion-style case in stainless steel and rose gold. 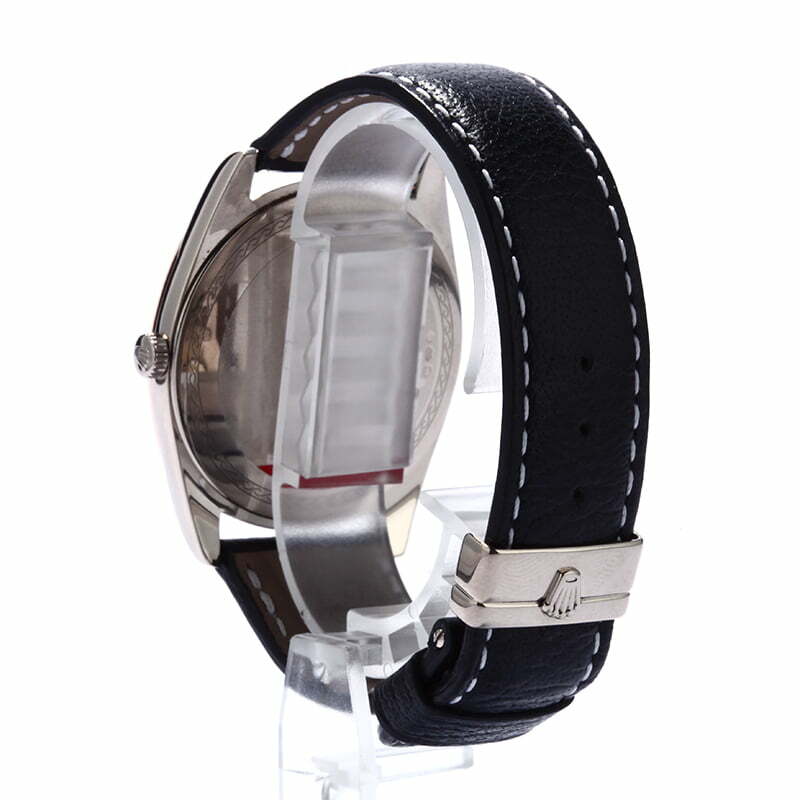 The case is expertly paired with a contrasting black Rolex leather bracelet that perfectly mirrors the design of the dial. 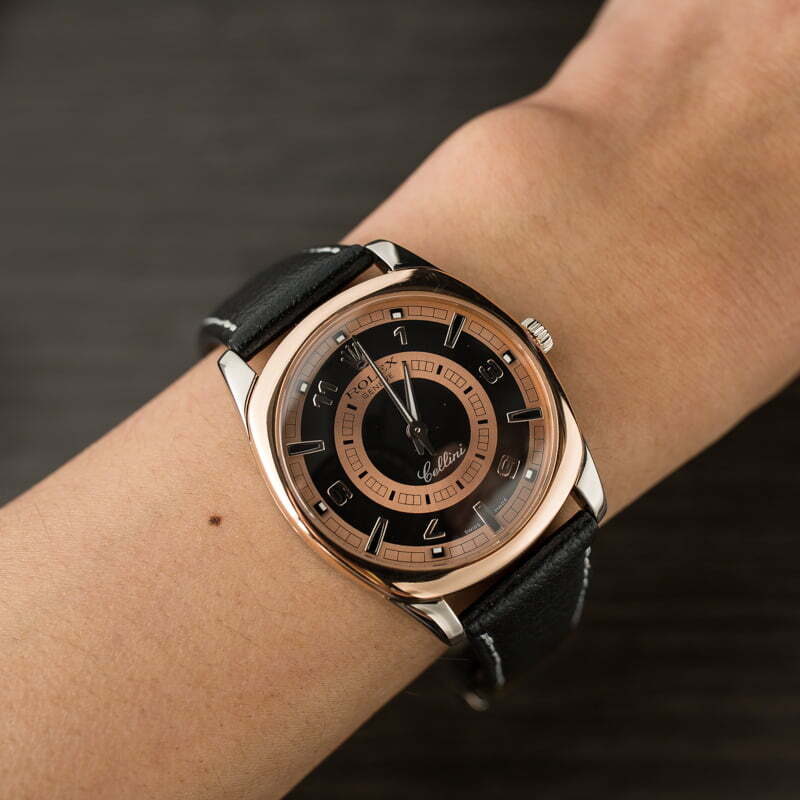 The dial itself features black and rose gold rings and displays the time via alternating baton hour markers and Arabic markers topped with luminous dots. The hour and minute hands feature a striking tapered design and are filled with highly visible luminous plots for an easy reading at-a-glance. 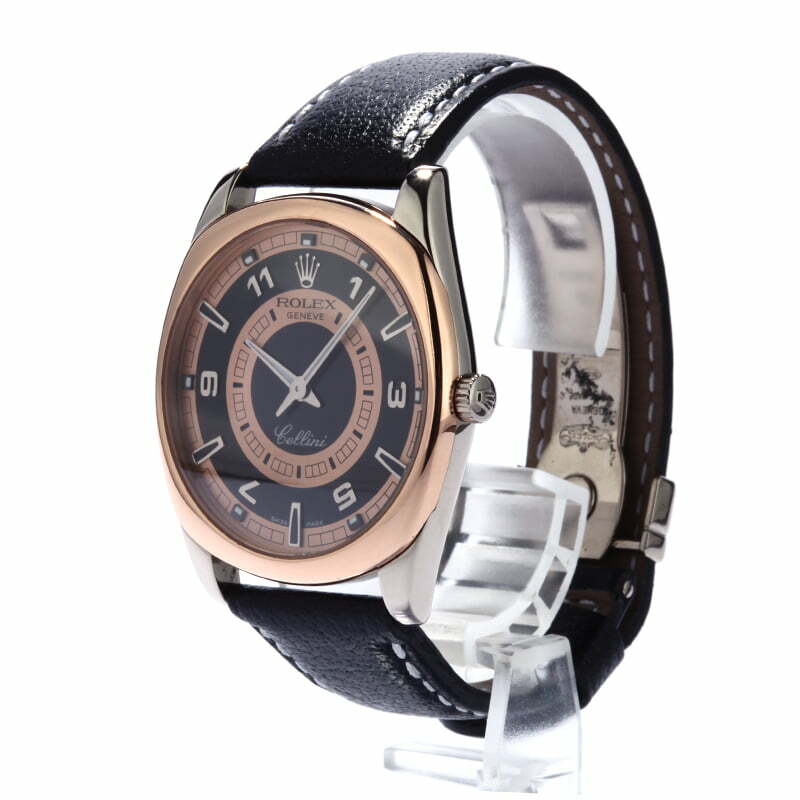 Produced in the early 2000s, this is a newer-model preowned Rolex and will hold its value well.